Acoustic insulation types refers to the different product categories of acoustic insulation available today. Who cares? 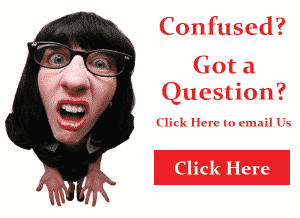 Well, you might if you’re considering any kind of soundproofing project and want to get it right! Ranging from neighborhood clamor and traffic sounds, to excessive internal echoes within open plan designs, unwanted noise can be a major annoyance in residential as well as commercial buildings. The best way to combat unwanted noise & increase the quiet and peace in your space, is to add some type of Acoustic Insulation to it. But, with just the tiniest bit of research, you will find there is a huge range of Acoustic Insulation types that are designed to absorb, deflect and dissipate noise; they all help to control sound in a particular manner and keep it at a much more manageable level. 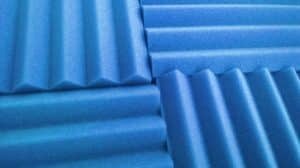 But to choose the most appropriate acoustic insulation type for your project it helps to know the characteristics of the different acoustic insulation types. Polyester is a pliable, allergy-friendly, non-toxic, fibrous material with high tensile strength and excellent water resistance qualities. 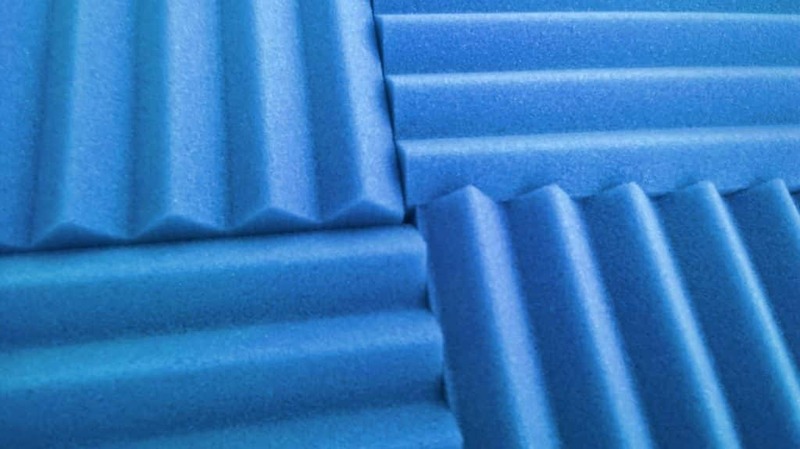 This makes it one of the most robust and versatile materials available to create bulk fibrous sound absorbing products from. Polyester acoustic insulation is available in a wide variety of densities and thickness to meet the requirements of just about any project. The higher the density and thickness, the more effective the product is at absorbing sound. 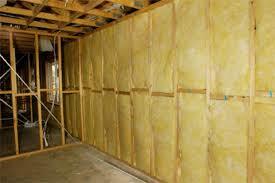 Fibreglass or Glasswool as it is now called, is perhaps the most widely used insulating material in the world. Manufactured from sand and recycled glass to form millions of tiny glass fibres arranged and bonded together with the use of a special binder, they create a batt or blanket with a ‘wool-looking’ texture. 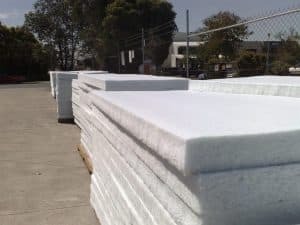 Acoustic foam or properly known as acoustic convoluted open cell polyethylene foam (quite a mouthful!) is a light weight, non toxic acoustic product. Widely used in sound studios and other commercial or industrial applications and products, the foam is employed to control resonance within a space by acting as a sound absorber. 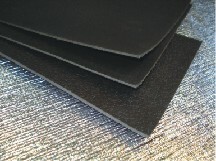 Usually available in rolls or as flat panels, acoustic foam insulation comes in a variety of densities and thicknesses. Mass loaded vinyl (MLV) is a sound barrier / blocking product which is also called “Limp Mass Barrier”. Rather than absorbing sound waves, as in the case of the fibrous bulk absorbers above, MLV blocks the transmission of sound waves by increasing the mass of a structure and making it more difficult for sound to pass through. Acoustic pipe lagging is an amalgamation of a bulk foam sound absorber and a high mass sound deadener. Acoustic foam is used as a bulk sound absorber and acts to decouple the pipe from a layer of mass loaded vinyl, w hich acts as the sound deadener. 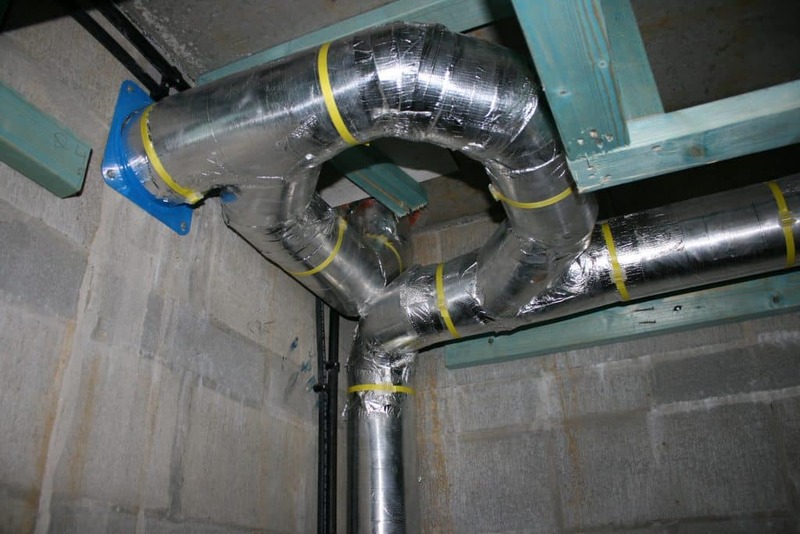 The result is an easy to install and very effective acoustic insulation solution for noisy pipes in commercial & residential properties. This material is also suitable for use in ventilation ducting and a wide variety of industrial applications, such as pump housings; Acoustic pipe lagging is available in pre-cut ‘flat packs’ as well as rolls for quick & easy installation. Soundproofing is a complex topic, to get the best result for your project it is very important to choose the right acoustic insulation type and ensure it is installed correctly. We have presented a basic description of the most popular acoustic insulation types available, however, for best results we recommend further research into the best acoustic product type for your specific project. For further information or advice on acoustic insulation types please click here to email [email protected].